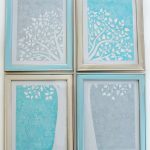 Nothing makes a better keepsake than a HandPrint craft! 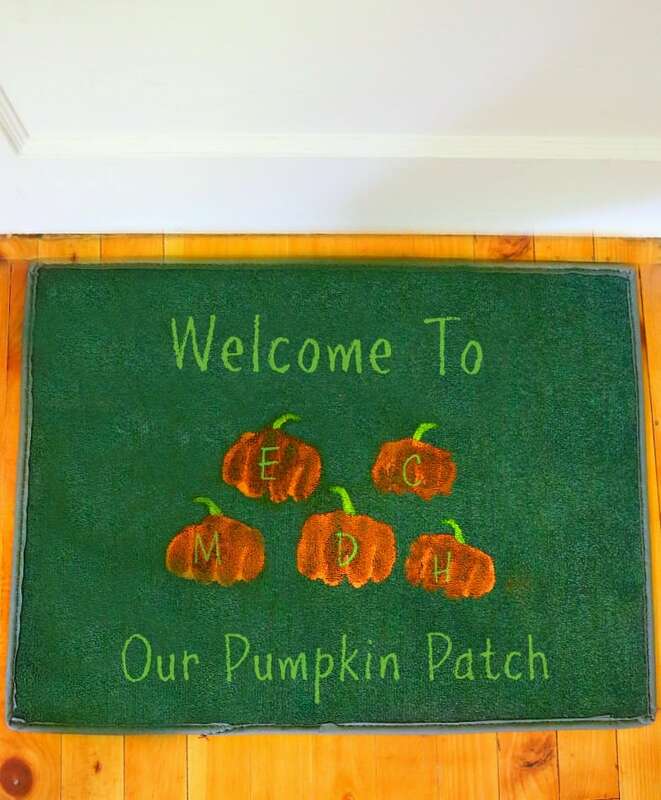 This Handprint Pumpkin Patch Welcome Mat Craft is actually made by imprinting the fist. 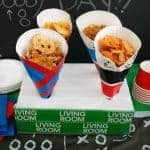 It is quick, easy and makes a cute gift! There is nothing cuter than a handprint or footprint craft. 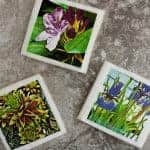 Not only do they make a great artistic tool, but using hands and feet turns your creations into a fantastic gift or keepsake! There are so many things to make using prints. 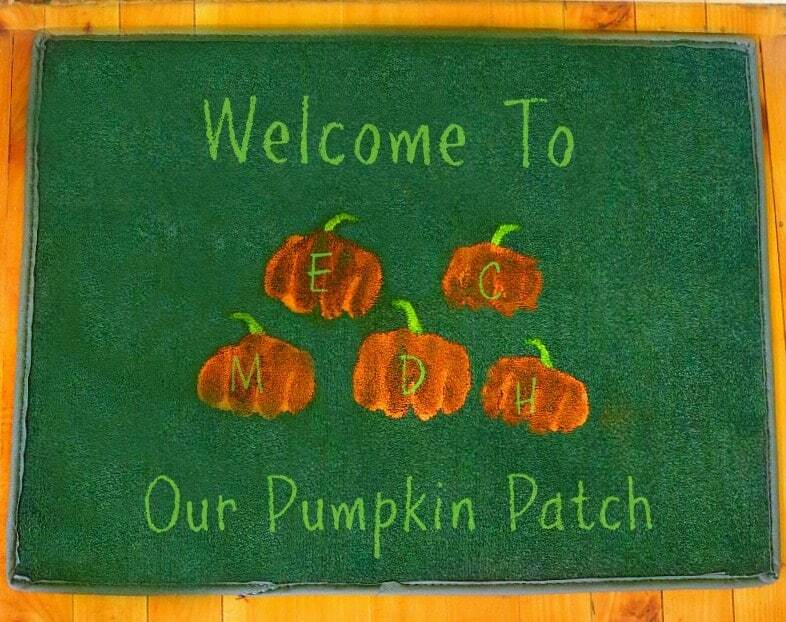 Like this handprint pumpkin patch welcome mat. I know, these are not actually, technically handprints. Instead, I imprinted the fist of each member of the household. It creates a perfect pumpkin with the lines and all! The whole project cost a total of $2 ! 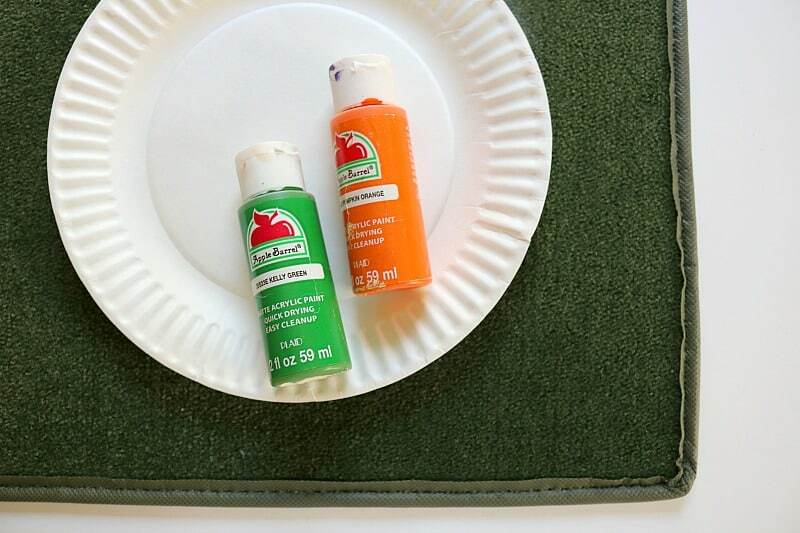 I did already have the paint on hand, so if you have to buy that your total cost will be $4 providing you can find these inexpensive mats at your Dollar Tree or Family Dollar. 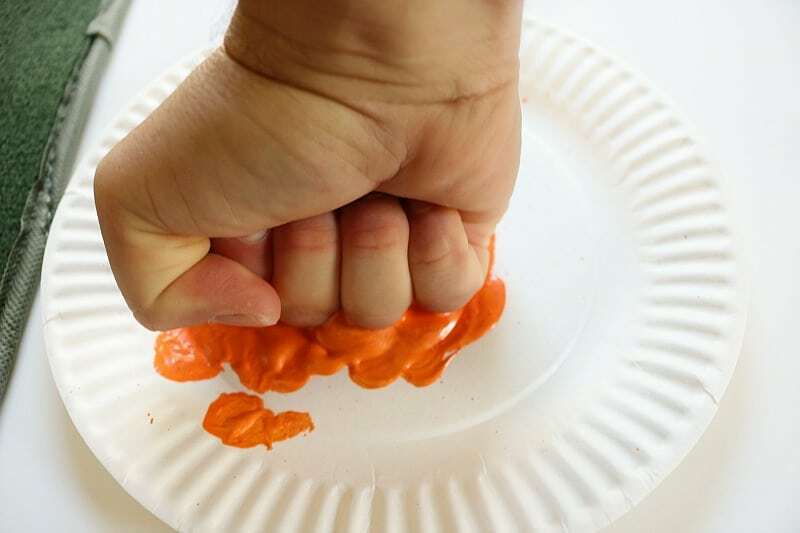 Squeeze a generous amount of the orange craft paint out onto the middle of a paper plate. Use your finger to spread out into an even circle. Have your first family member make a fist, the thumb will naturally fall over the tops if the fingers. Angle the fist downward and press top part of the fist into the paint. Imprint fist onto the mat where you desire. Repeat for each family member. 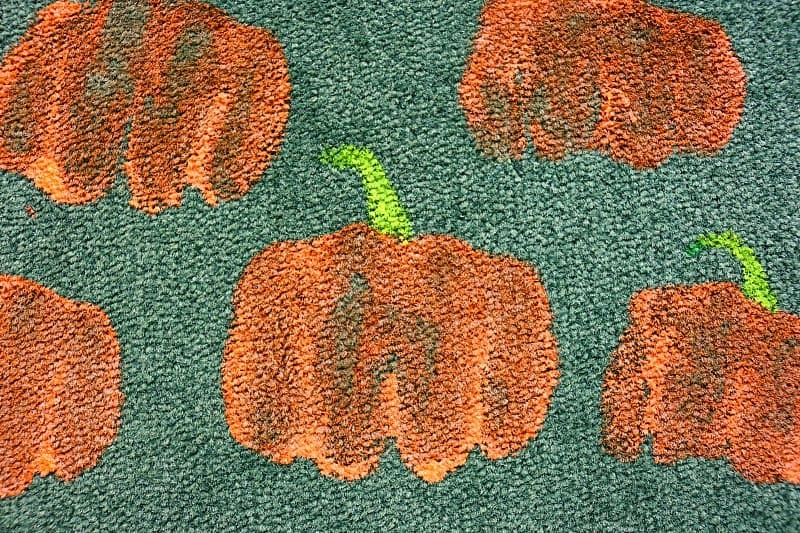 Paint a green stem on the top of each pumpkin. 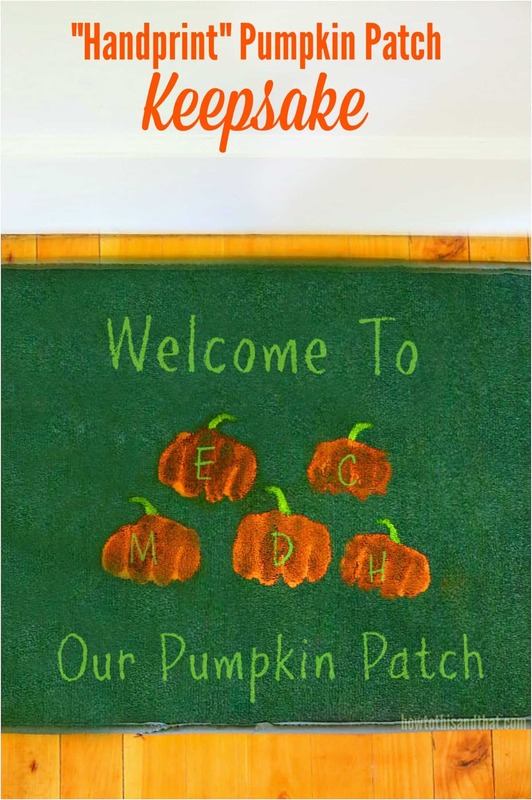 Use the thin tipped paint brush to write the words on the mat. You can also use stencils if you have them. NOTE* This mat is best kept inside or on a covered porch. Would make a great wall hanging also!